Broadly speaking, commodities have performed poorly this year. Specifically, energy commodities have been hammered, but there have been solid performers in the commodities complex, including some precious metals. “Not all commodities have done poorly year-to-date. The weakness in some commodity indexes has been largely about energy. Oil prices are down nearly 20%; natural gas has done even worse. 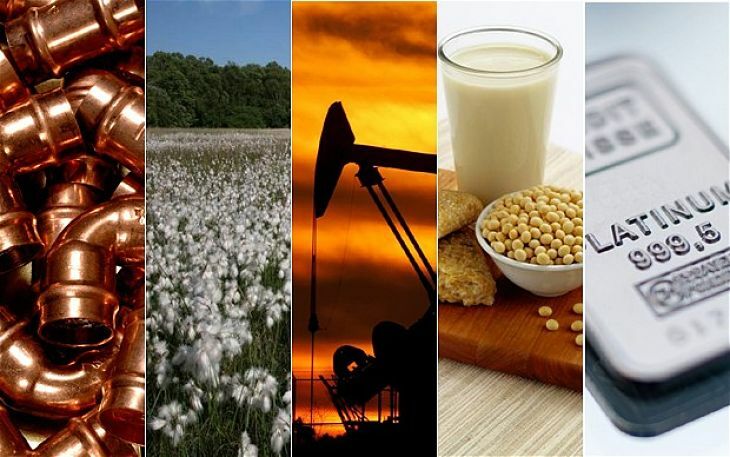 However, metals have performed better along with select agricultural commodities, notably corn and wheat,” said BlackRock in a recent note. The iShares S&P GSCI Commodity-Indexed Trust (NYSEARCA:GSG), a diversified commodities fund, is off 11% year-to-date. GSG, which just turned 11 years old, follows the S&P GSCI Total Return Index. The $1.1 billion ETF features exposure to eight commodities. “The global oil supply glut hasn’t eased as fast as we thought it would, but we expect to see a reduction in global oil inventories—and a rebalancing of supply and demand—in the second half of the year. Current OPEC compliance with production cuts is well above the historical average and it typically takes two to three quarters for inventories to reflect such cuts,” according to BlackRock.